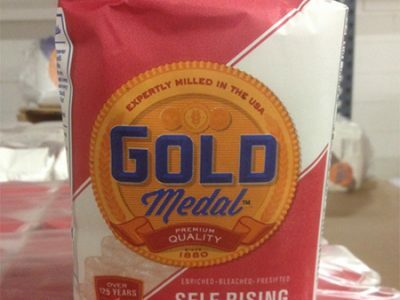 An example of a Gold Medal flour bag implicated in this outbreak. The 63 ill were spread across 24 states. General Mills expanded their recall to include many products. 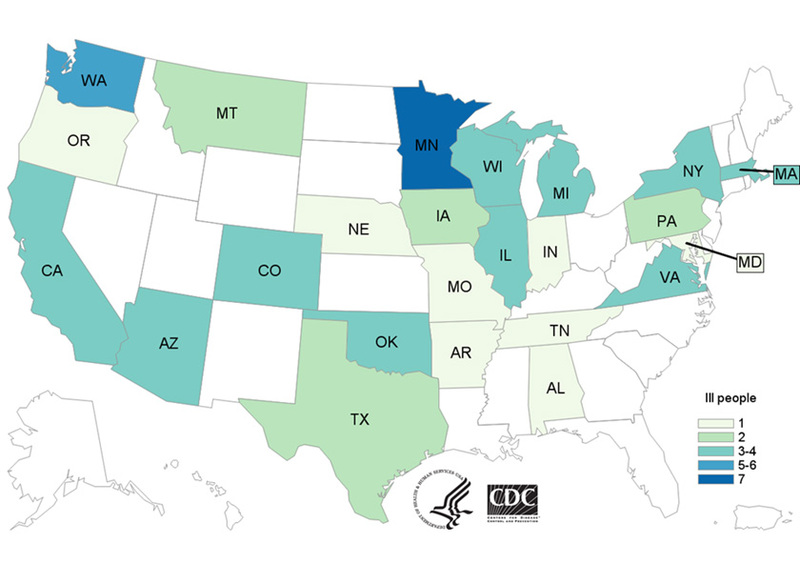 CDC worked with public health and regulatory officials in many states and the U.S. Food and Drug Administration (FDA) to investigate a multistate outbreak of Shiga toxin-producing Escherichia coli (STEC) infections. Public health investigators used the PulseNet system to identify illnesses that may be part of this outbreak. PulseNet, coordinated by CDC, is the national subtyping network of public health and food regulatory agency laboratories. PulseNet performs DNA fingerprinting on STEC bacteria isolated from ill people by using techniques called pulsed-field gel electrophoresis (PFGE) and whole genome sequencing (WGS). CDC PulseNet manages a national database of these DNA fingerprints to identify possible outbreaks. Sixty-three people infected with the outbreak strains of STEC O121 or STEC O26 were reported from 24 states. A list of the states and the number of cases in each can be found on the Case Count Map page. WGS showed that isolates from ill people were closely related genetically. This close genetic relationship means that people in this outbreak were more likely to share a common source of infection. Illnesses started on dates ranging from December 21, 2015 to September 5, 2016. Ill people range in age from 1 year to 95, with a median age of 18. Seventy-six percent of ill people were female. Seventeen ill people were hospitalized. One person developed hemolytic uremic syndrome, a type of kidney failure, and no deaths were reported. Flour is a raw, minimally processed product intended to be cooked before consumption. Although several previous Shiga-toxin-producing E. coli (STEC) outbreak investigations in the United States suspected contaminated flour as the source, none had been proven. 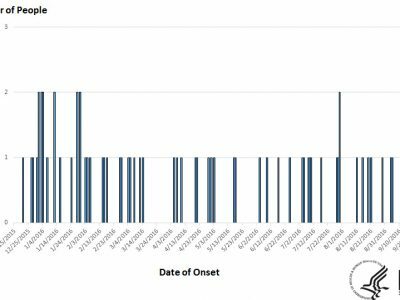 In February 2016, PulseNet, the laboratory network for foodborne disease surveillance, detected a 12-state cluster of STEC O121 infections having the same rare genetic fingerprint. A multistate outbreak investigation was initiated. An additional STEC O26 strain was linked to the outbreak after testing of implicated flour. A case was defined as infection with an outbreak strain of STEC O121 or O26 occurring between December 21, 2015, and September 5, 2016. 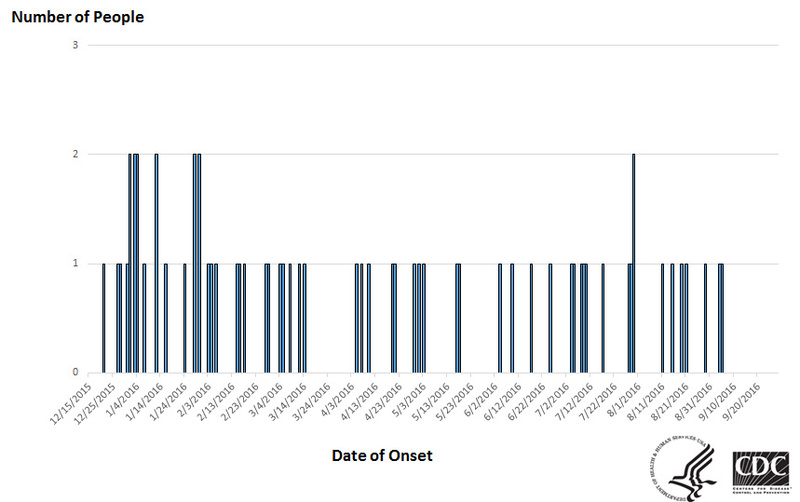 Case-patients were interviewed about foods and other exposures in the week before illness onset. We performed univariable matched exact conditional logistic regression to identify exposures associated with illness, comparing them to exposures among people with reportable non-STEC enteric infections (primarily salmonellosis and campylobacteriosis), matched on age, gender, and state of residence. Four controls were sought for each case and interviewed by state and local health officials. Samples of suspected products were collected and cultured for STEC. A common point of contamination was sought through traceback. Whole genome sequencing (WGS) was performed on selected clinical and food isolates. 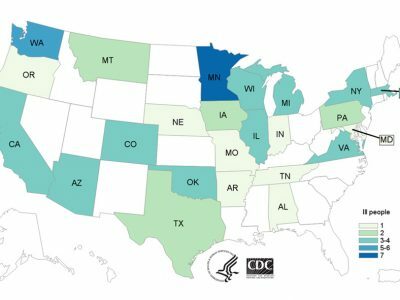 Fifty-six cases of STEC O121 and one case of STEC O26 infection were identified in 24 states; seventeen people were hospitalized; none died. Using General Mills flour (OR 21.0, 95% CI 4.7‒94.4) and tasting unbaked homemade dough or batter (OR 36.0, 95% CI 4.6‒280.2) were both significantly associated with illness. Traceback identified a common flour production facility. Three illnesses were in children exposed to raw dough for playing at several locations of a single restaurant chain. Leftover flour samples collected from cases’ homes and additional samples collected from the flour producer were tested, and five STEC strains were isolated (one STEC O26, three STEC O121, and one STEC O103). All isolates tested were closely related genetically. This is the first investigation to link definitively an outbreak of STEC infections to raw flour. 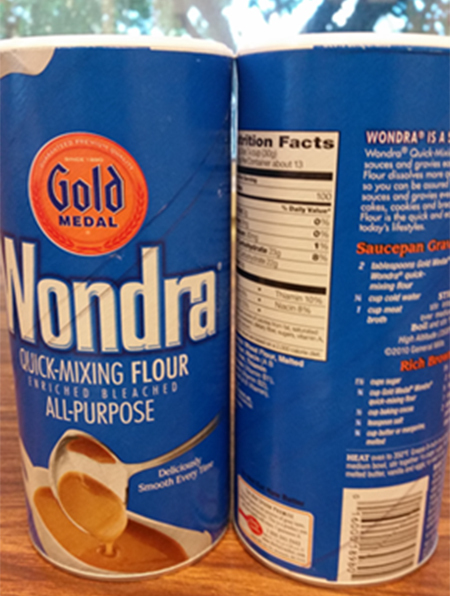 Nearly 250 products containing the implicated flour were recalled by the flour producer as well as by several companies that used recalled flour. Consumers should not eat products containing uncooked flour. Using uncooked dough for play should also be discouraged at restaurants and home. 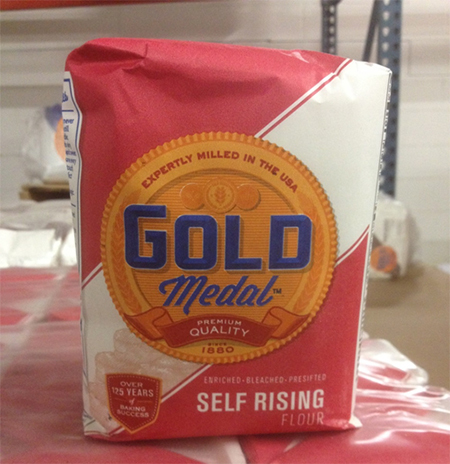 Flour producers should consider adding prominent packaging labels to warn consumer not to eat undercooked or raw flour. Foodborne illnesses associated with raw flour are likely preventable if appropriate control measures are taken from grain fields and production facilities to restaurants and consumers. Publication citation: Crowe SJ., et al. 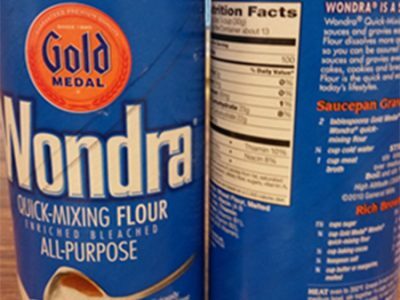 Shiga toxin–producing E. coli infections associated with flour. New Engl J Med 2017; 377: 2036n43.